A few weeks ago it was the 6 month anniversary of Superstorm Sandy and while so much has happened, some people are still experiencing slow progress and are getting discouraged with the government’s response. In the shipping industry we are still affected by businesses that have closed. Even those who plan to reopen are focused on rebuilding their homes first and businesses that were wiped out after. Many people are still not in their homes and those who have been able to return are faced with new laws regarding insurance, the heights of their buildings, etc. There is still a long road before shipping and logistics will be a priority. At the ports, most of what was damaged and washed away has been handled, but there are still some straggling issues that steamship lines and freight forwarders are dealing with. Much of the progress was made in the first few weeks after Sandy for these areas. Once we dealt with the delays and rerouted shipping containers, fixing the issues that the port seemed minimal. One of the biggest issues that steamship lines are dealing with is how to prepare for future storms. Many weather professionals are predicting that we are in for a new level of storms. 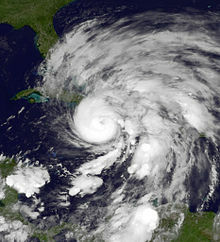 With hurricane season is on its way many people wonder if the changes will be in place in time. They are also wondering how this will affect international freight rates. Will there be additional charges like a hurricane season surcharge? So far it looks like carriers are not going to be adding these types of additionals to their ocean freight rates, but other changes have already taken affect. With more storms like Sandy on the horizon it will only be helpful to be prepared ahead of time.